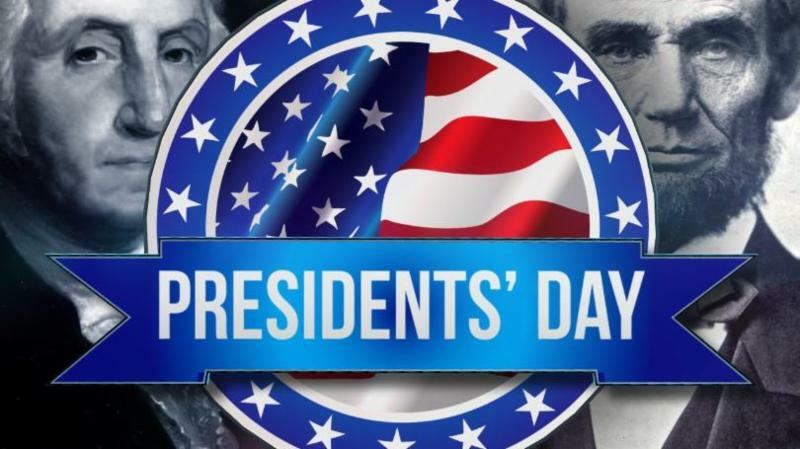 Town Hall & Town Annex offices will be closed on Monday, February 18th in observance of Presidents' Day. This IS NOT a trash holiday. Regular collections will take place. 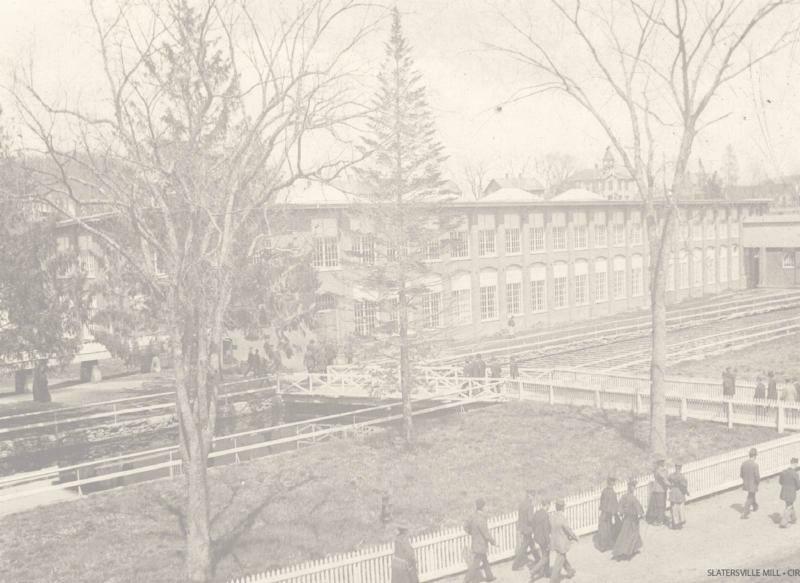 The North Smithfield Heritage Association Needs Your Help! 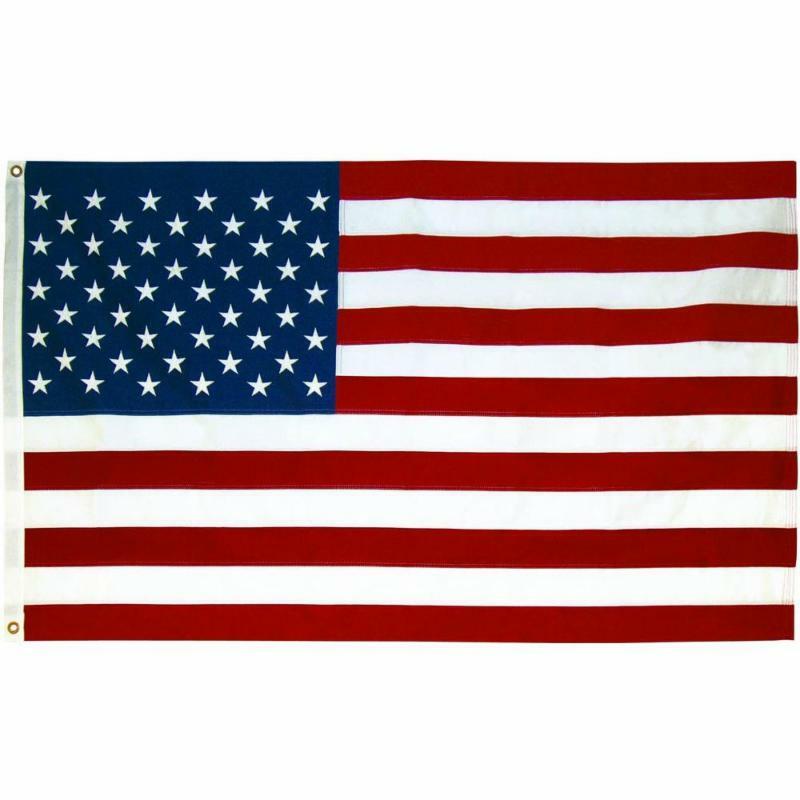 The North Smithfield Heritage Association plans to hold a Heritage Fair on Monday, May 27th following the town Memorial Day Parade. We welcome town residents and groups to help organize activities and displays. 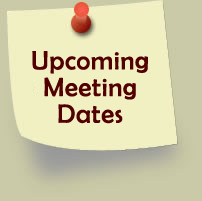 A working group will meet this Saturday, February 9th at 10:00 am at the Forestdale School House. All interested residents and supporters are welcome to attend. THANK YOU TO THOSE WHO HAVE STEPPED UP! BUT WE STILL NEED VOLUNTEERS FOR THREE COMMITTEES. "SHOULD YOU BE THE NEXT TO VOLUNTEER?" As usual, great people have stepped up! 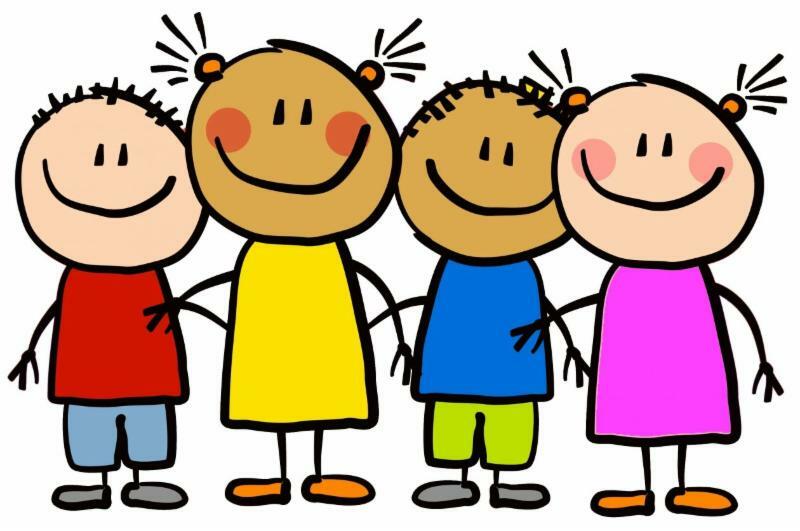 Our planning board, juvenile hearing board and budget committee will now be back to full strength! 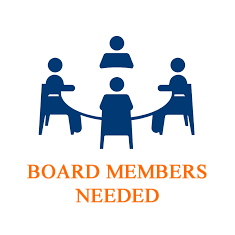 ﻿Now all we need is one more member for our Economic Development Committee and one more member for our Personnel Board to fill all the long standing committees and a full slate of folks to serve on the Asset Management committee for which an ordinance was finalized by the town council. 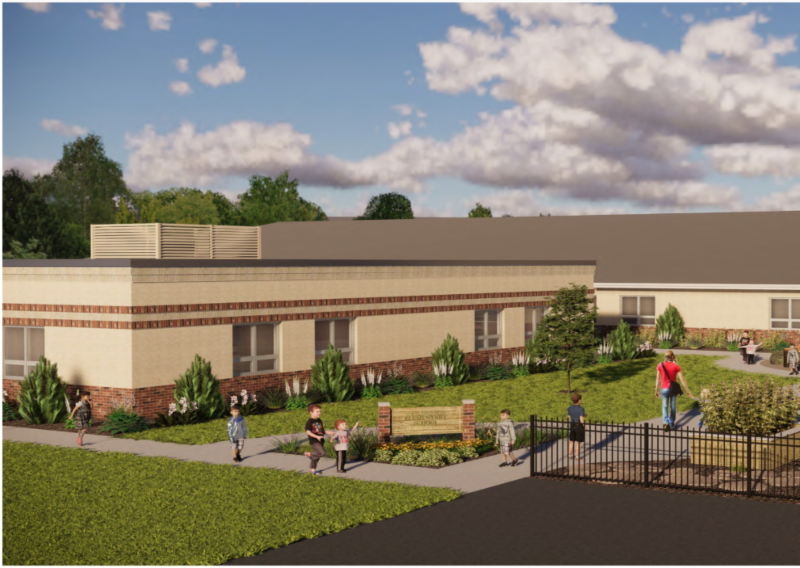 We are clearing the final checklist and review for the addition and improvements scheduled at the North Smithfield Elementary School. Meanwhile, our initial planning review for the high school science labs is scheduled for February 6, 2019 with the Rhode Island Department of Education. 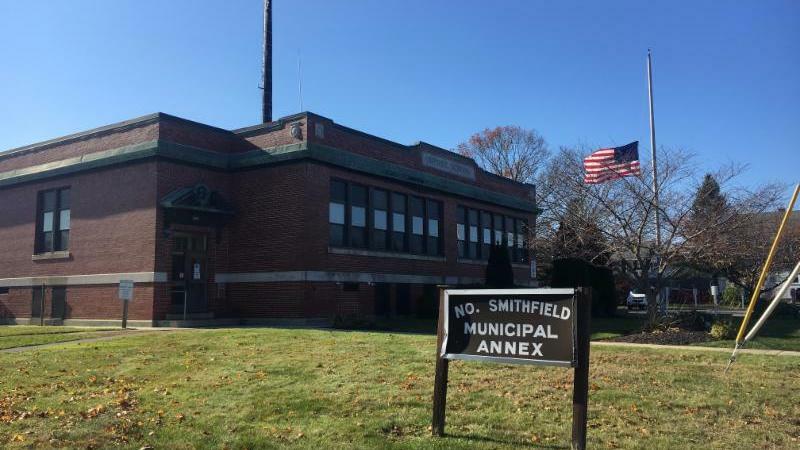 The Town of North Smithfield, in accordance with Rhode Island State Statute 44-5-11.6, has completed its Statistical Revaluation. The purpose of this Revaluation is to bring the assessed values of property in line with current market values. Your new valuation is effective December 31, 2018 and is applicable to the 2019 tax bill. Please do not multiply this value by the current tax rate, a new tax rate will be determined in the budget process for the 2019-2020 fiscal year. 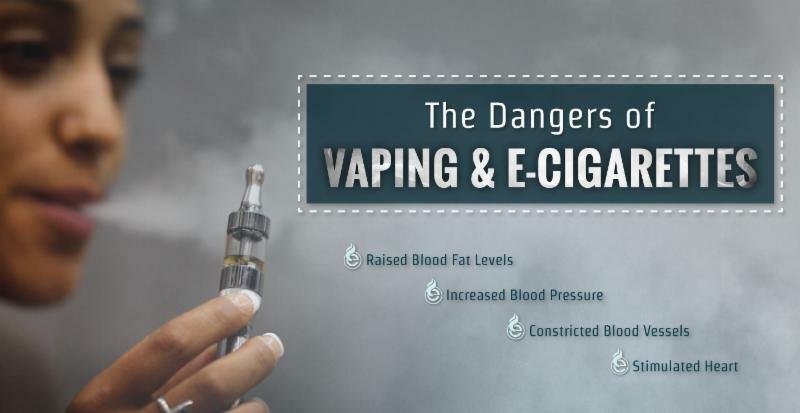 The last revaluation was as of December 31, 2015, over the last three years, the market has been increasing, and based on a study of the 2017 and 2018 sales in N Smithfield, values have increased on average approximately 20%. Within the next week, Northeast Revaluation Group LLC will be sending a notification to all taxpayers with their new values. If you feel that your value is not in line with the current market values, the notice will have instructions on how you can schedule a meeting to discuss it. You will also be able to go online to www.nereval.com to check the accuracy of your property data, and compare your new assessment to the assessment of properties surrounding you. If you have any questions or concerns please feel free to contact the assessor’s office at 401-767-2200 ext. 323. Once you receive your new assessment notification and feel you would like to discuss it, please follow the instructions on the notice. 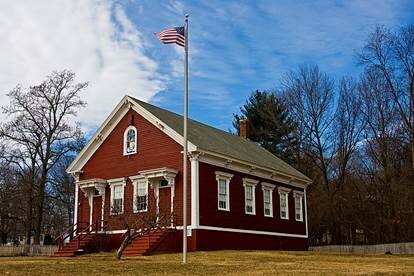 The Little Red Schoolhouse is open for visitors monthly, every second and third Thursday and Saturday from 10:00 am to 2:00 pm. While there, you can view artifacts, relics, and merchandise. You can also conduct historic research. 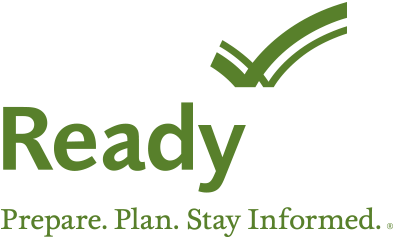 For the next several weeks, North Smithfield Emergency Management, CERT and REACT will be providing articles on survival preparation for an emergency. Many emergency response organizations have encouraged citizens to have three days of emergency supplies on hand in case disaster strikes, but because we live in a world where terrorism and cyber attacks have created possibilities of long-term outages of every day necessities, we should now consider being prepared for at least two weeks. Those who have already prepared for three days have a good start as many items for three days will be good for the two week preparation. Flashlights, radios, extra batteries, first aid kits, contact information and manual can opener are items handy for three days or two weeks. Future articles will advise about other necessities that will be required for longer outages. The key to survival in most cases will be to stay in your own home (shelter in place) as long as it is safe. Have an emergency plan that your family is familiar with and discuss the importance of knowing the location of emergency supplies. Community shelters may become overloaded and not have the abundance of supplies needed to sustain shelter goers for a long stay. First responders may be overwhelmed with disaster emergencies and should not be counted on to provide you with emergency supplies. Hopefully, the forthcoming articles will give you food for thought in your preparation for a catastrophic emergency. 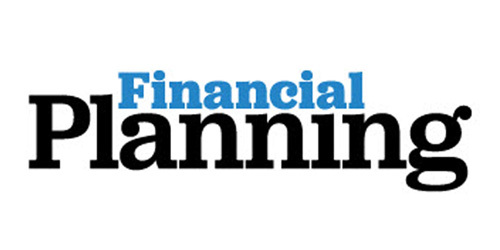 This week's article will discuss FINANCIAL PLANNING! Americans at all income levels have experienced the challenges of rebuilding their lives after a disaster or other emergency. In these stressful circumstances, having access to personal, financial, insurance, medical, and other records is crucial for starting the process of recovery quickly and efficiently. Taking the time now to collect and secure these critical records will give you peace of mind and, in the event of an emergency, will ensure that you have the documentation needed to start the recovery process without delay. Gather financial and critical personal, household, and medical information. 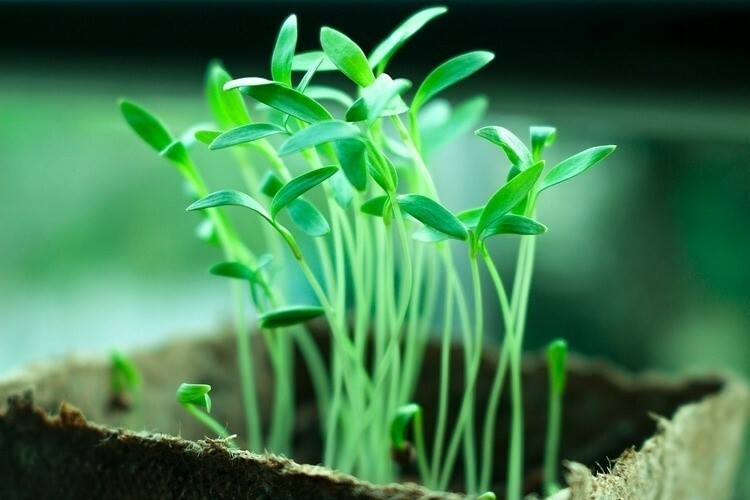 Consider saving money in an emergency savings account that could be used in any crisis. Keep a small amount of cash at home in a safe place. It is important to have small bills on hand because ATM’s and credit cards may not work during a disaster when you need to purchase necessary supplies, fuel or food. Obtain property (homeowners or renters), health, and life insurance if you do not have them. Review existing policies for the amount and extent of coverage to ensure that what you have in place is what is required for you and your family for all possible hazards. Homeowners insurance does not typically cover flooding, so you may need to purchase flood insurance from the National Flood Insurance Program. Scroll down for more helpful financial preparedness tips and download the Emergency Financial First Aid Kit (EFFAK) to get started planning today. The Emergency Financial First Aid Kit (EFFAK), a joint publication from Operation Hope and FEMA helps you prepare financially and provides tips to reduce the impact disasters can leave you with financially. Make a presentation at an existing staff meeting using the Emergency Preparedness Financial First Aid Kit PowerPoint and use the Safeguarding Your Valuables Facilitator Guide to support your discussion. 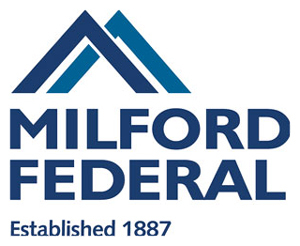 Include financial preparedness information in the staff monthly newsletter. Using the EFFAK as a guide, or by downloading a secure mobile app on your phone, store important documents either in a safety deposit box, an external drive, on the cloud to make it easy to access during a disaster. Having your financial and medical records and important contact information will be crucial to help you start the recovery process quickly. Take time now to safeguard these critical documents. Having insurance for your home or business property is the best way to ensure you will have the necessary financial resources to help you repair, rebuild, or replace whatever is damaged. Document and insure your property now. With over 150 fire hydrants and cisterns, (Underground Water tanks), in town, the North Smithfield Fire and Rescue Service is looking for the community's help with keeping them free and clear of snow and ice. After a storm, Fire crews will be out to clear hydrants and cisterns but with only two trucks on the road and such a large number of them, it can take us a considerable amount of time to get to them all. 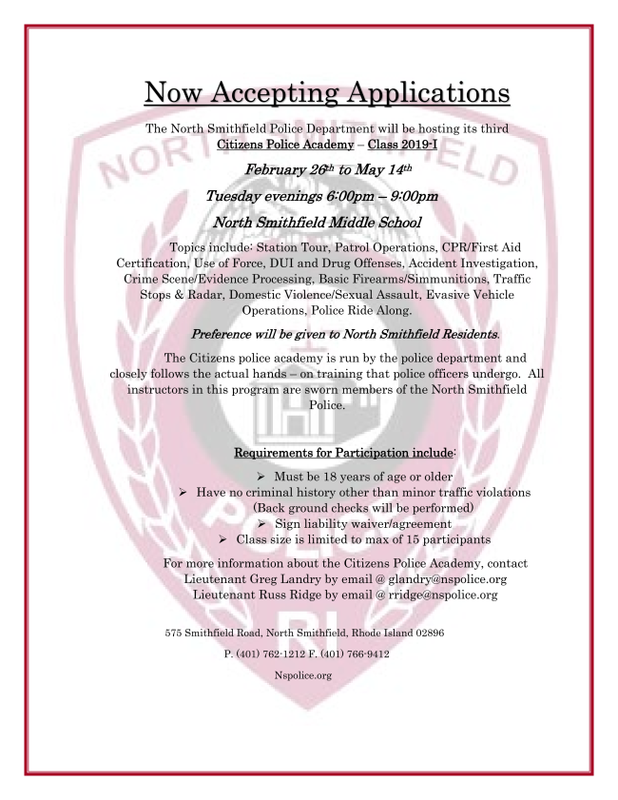 Any help we can get from the community to accelerate the process would be greatly appreciated. If you have a hydrant or cistern on or near your property, consider clearing it out so that we can access it in the event of a fire in the area. Help us help you! Winter brings with it lots of fun activities, but winter also means mounds of snow to shovel and layers of ice to remove. During some snow storms it becomes impossible for our plow drivers to know where the edge of the road is. 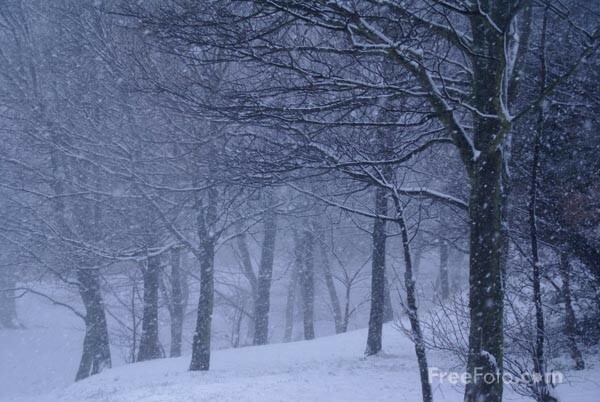 Here are some helpful tips to ensure safety and efficiency during a snow storm. Use reflective markers to make the edge of the road more visible for DPW when plowing. This is the best way to ensure trucks stay off your lawns. 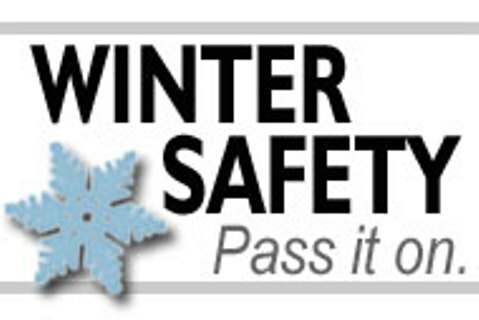 When shoveling snow or operating a snow blower, do not throw snow out into the street or sidewalk. This is not only against State Law (State Law Title 31-22-9), but this will ensure that snow does not freeze in the roadway or sidewalk and cause a hazard for vehicles and pedestrians. 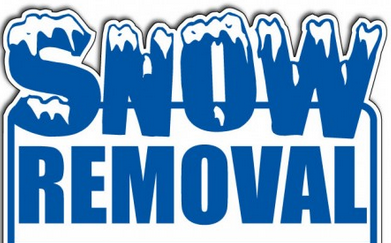 Please visit https://www.nsmithfieldri.org/home/news/snow-removal-policy for more information on our snow removal policy. Trucks are plowing or spreading sand/salt. Stay back from the vehicle at least 100 feet to avoid problems. Plow trucks often have to back up. There are blind spots in the mirrors. For your safety, do not pull directly behind them. They may not be able to see you. 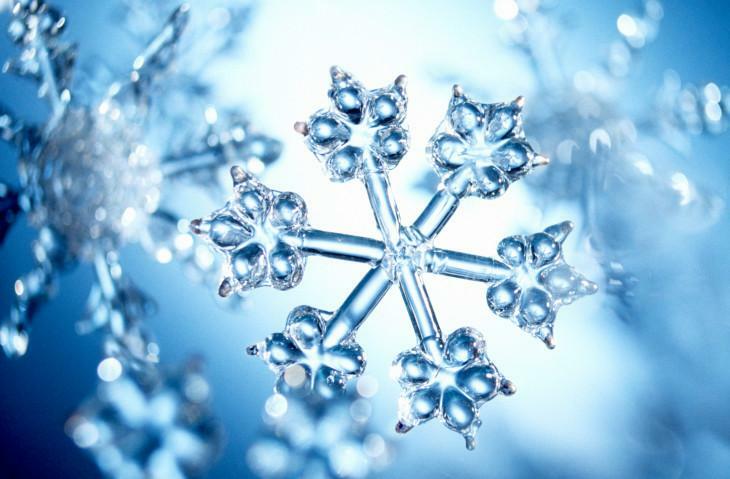 Trash and recycling collections may be canceled if weather conditions warrant. 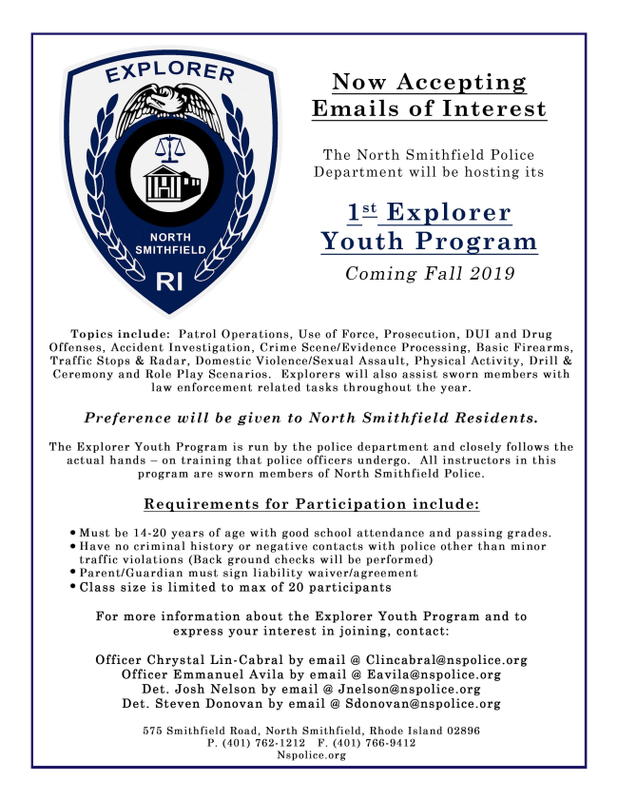 Check our website www.nsmithfieldri.org or call (401) 767-2200 ext. 348 for potenial pick-up delays. 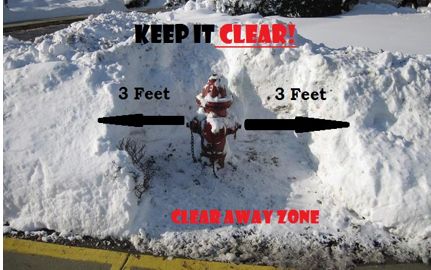 Clear snow from around fire hydrants near your home/business to make them visible for our firefighters. 1. With cold weather comes frozen bodies of water. Never assume that frozen lakes, ponds, and streams are safe to walk on. Always call the Rhode Island Department of Environmental Management (DEM) 24 hour Hotline at (401) 667-6222 to check on ice conditions before lacing up those skates or stringing up the ice fishing tilts. 2. Normally, winter = snow. Some love it and others not so much! Either way, it still falls from the sky, and we all must deal with it. Please try to keep all driveways, sidewalks, steps and other access points to your home free and clear of snow at all times. In addition, keep snow and ice clear of dryer vents, gas meters, and any other ventilation points from your home. 3. Clean your chimney! It is important to have a maintenance plan for your heating devices in your home. Fuel burning appliances require regular maintenance in order to retain efficiency and safety features. 4. Lastly, we cannot have a fire safety release without mentioning the most important thing: Always check and maintain smoke and carbon monoxide detectors in your home! 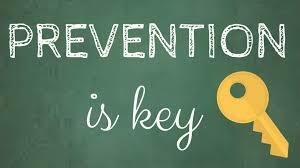 As always, feel free to contact the North Smithfield Fire Prevention office at (401) 762-1135 Monday through Thursday between the hours of 07:00 a.m. and 05:00 p.m. for any fire safety questions you may have. 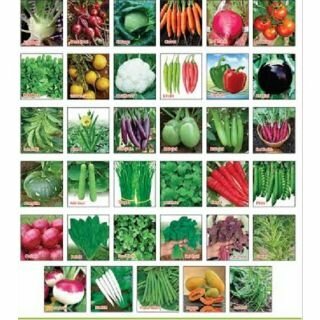 Learn tips and techniques to successfully start your own vegetables and flowers from seed. 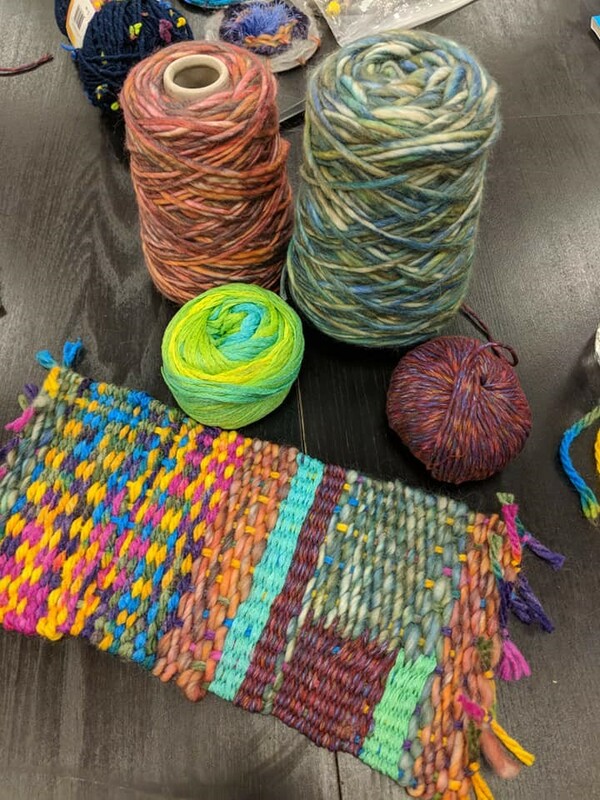 Join our active group of knitters, crocheters, weavers, darners,quilters and embroiderers. Beginners and experienced are invited. Come to learn and share. Communicating with you, so together, we can promote a safe and healthy, drug free environment. Filled with lots of great information for parents!! You can volunteer as many or as few days or hours that you can. Every little bit helps! 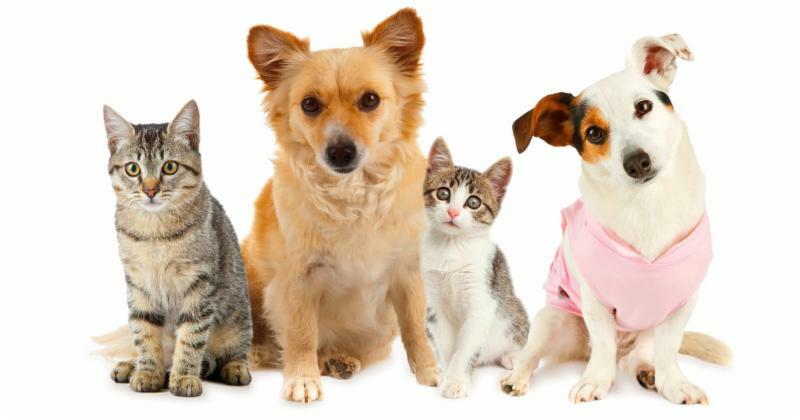 Volunteering at an animal shelter can be a rewarding experience. Please call the North Smithfield Animal Shelter at 766-0377. Any donations or monetary gifts for the food pantry can be dropped off at the Slatersville Congregational Church between 9:00 am and noon. 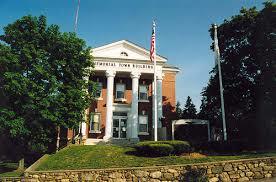 An additional drop box is available at the Town Hall during regular business hours. 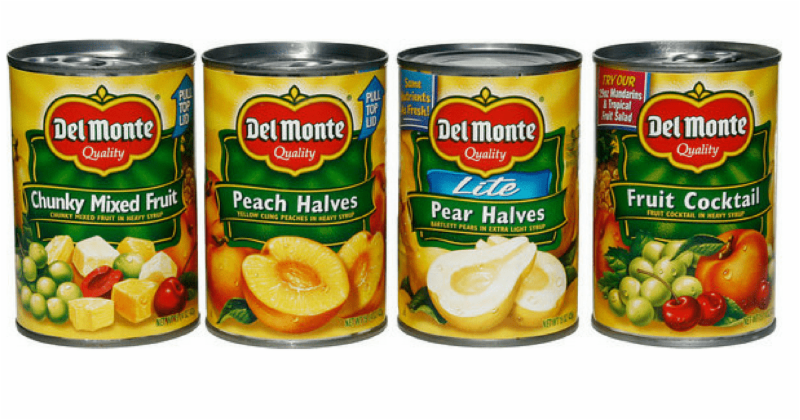 The North Smithfield Food Pantry needs your help on Thursday or Friday mornings from 9:30-11am at the Slatersville Congregational Church to sort and move donated food items. You need to be able to carry boxes up and down stairs. We still need someone to oversee the rescue and distribution program a few hours a week Wednesday through Friday. 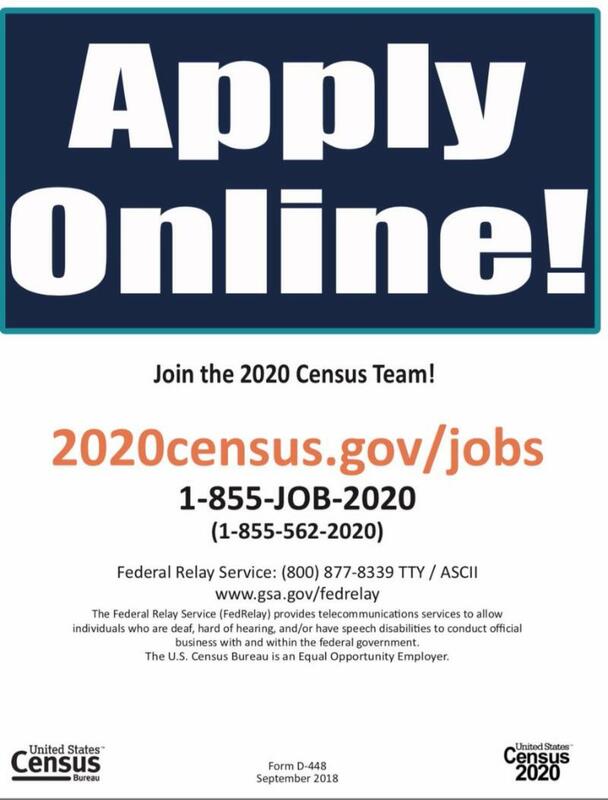 For more information on both positions call 401-769-2773. 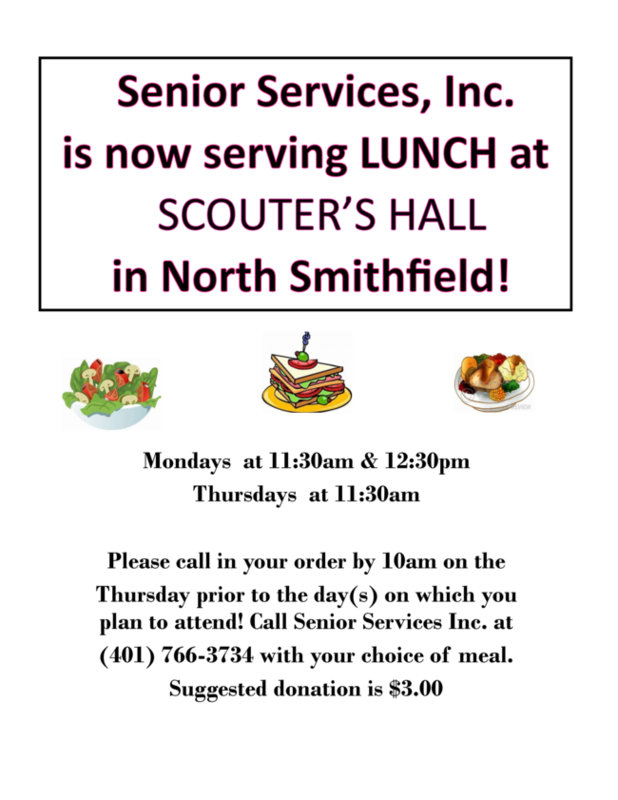 Senior Services, Inc. has provided services to seniors and adults with disabilities residing in Northern Rhode Island since 1975, in accordance with the Congregate Meal Program financed through a grant with R.I. Department of Elderly Affairs. Senior Services, Inc. provides nutritionally balanced lunches five days a week at our meal sites throughout Northern R.I.
Senior Services, Inc. offers activities, entertainment, computer classes, Alzheimer's Disease Support Groups, and Wellness programs, which include a weekly blood pressure clinic and exercise classes. 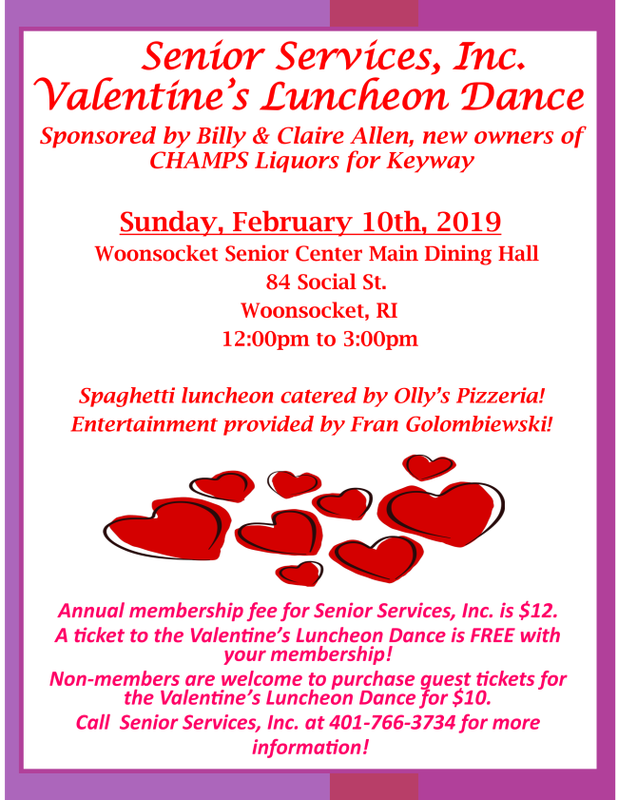 Senior Services, Inc. also offers an Adult Day Care Program ("A Home for the Day"), and a Community Information Specialist who can provide information on eligibility for all state and local programs, including RIPAE. The Trump Campaign is taking a victory lap after the release of Special Counsel Robert Mueller's [[ MULL-er's ]] report. A campaign says "President Trump has been fully and completely exonerated yet again." Adding that an investigation should be opened against those who "instigated this sham investigation into President Trump." Mueller's report on Russian interference in the 2016 presidential campaign concluded the Trump campaign did not collude with the Russians. The final report from Special Counsel Robert Mueller [[ MULL-er ]] cites numerous attempts by President Trump to influence the Russia investigation. The report says the efforts were largely unsuccessful, mainly because people around the President declined to carry out orders. One of Trump's demands was to remove Mueller. Former Vice President Joe Biden is at a rally in support of striking Stop & Shop workers in Southern New England. He will speak outside a store in Boston. Today is day eight of the walkout by 31-thousand employees at more than 240 stores in Massachusetts, Connecticut and Rhode Island. The National Enquirer is being sold for 100-million-dollars to the CEO of Hudson News. James Cohen has reportedly purchased the tabloid, along with two sister publications, from parent company American Media. Parent company American Media has faced criticism over the Enquirer's efforts to help President Trump, led by CEO David Pecker, a longtime friend of Trump. The last surviving member of the Doolittle Raiders is being honored with a memorial service today. Richard Cole's funeral is at Randolph Air Force Base in Texas. Cole passed away this month at the age of 103. The Dayton, Ohio native was Jimmy Doolittle's co-pilot in the famous bombing raid on Tokyo in 1942.